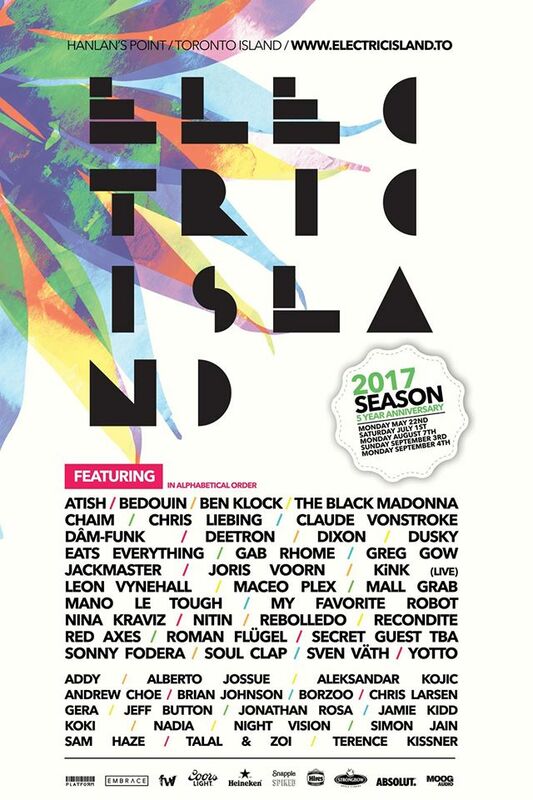 Nothing signals the start of summer more than Electric Island in Toronto, and we're now less than two weeks out from the season opener Monday May 22nd. With another 5 date season scheduled and the full lineup revealed (minus one special guest! ), we already know we're in for a treat. Enter below to win a pair of VIP tickets from EARMILK! 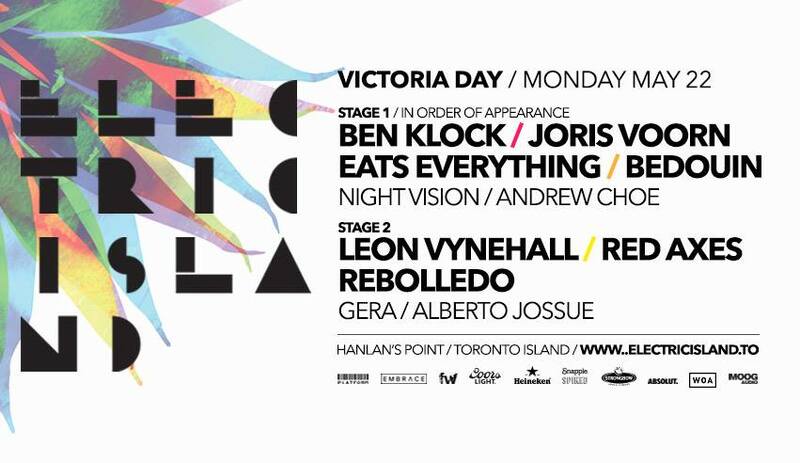 The announcement of two stages for the first time is a welcome surprise, and the inaugural session on the second stage is nearly perfect with Leon Vynehall, Red Axes, and Rebolledo headlining, while the main stage features heavy hitters Ben Klock, Joris Voorn, Eats Everything, and Bedouin. The local supporting DJs are another reason to arrive early and enjoy the daytime sunshine, as main stage sees past EARMILK Night Rumours featured mix artists Andrew Choe and Night Vision opening and Stage No. 2 features two of Toronto's prime selectors, Gera & Alberto Jossue warming things up.